On the eve of their fifth wedding anniversary, Blondie and Dagwood Bumstead, and their child Baby Dumpling, are in financial trouble. 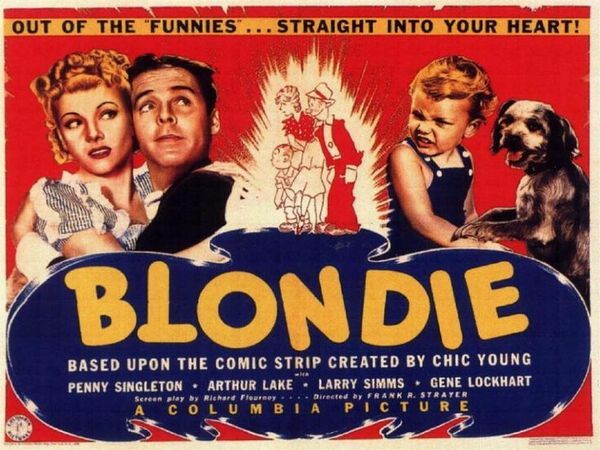 Blondie presses Dagwood to ask his boss Mr. Dithers for a raise because she has purchased a new set of living room furniture on credit as a surprise. Unfortunately, when Dagwood arrives at the construction company where he works, he discovers that he is being held responsible for repayment of a loan note he approved for Mr. Dither’s former secretary, Elsie. Anxious to cover the loan, Dagwood begs Mr. Dithers for a raise.